Never trust an adult who doesn’t like gummy bears, worms, or sour crawlers. There is something special about gummy candy that brings out the kid in all of us. When a friend asked me “What do gummy bears, worms, cinnamon hats, sour crawlers, jelly rings, jelly slices, and hundreds of other gummy-type candies on the market have in common?,” my answer was “sugar,” which is not necessarily true (there are sugar-free gummies). The correct answer is they contain gelatin: a translucent, colorless, flavorless by-product derived from collagen extracted from the bones, skin, and connective tissues of animals (primarily cattle, chicken, pigs, and fish). Because gelatin dissolves in hot water and sets to a gel when cooled giving candy a chewy texture, most jelly type candy (and marshmallows) contain gelatin which is greatly disappointing for people who don’t want to consume animal products. 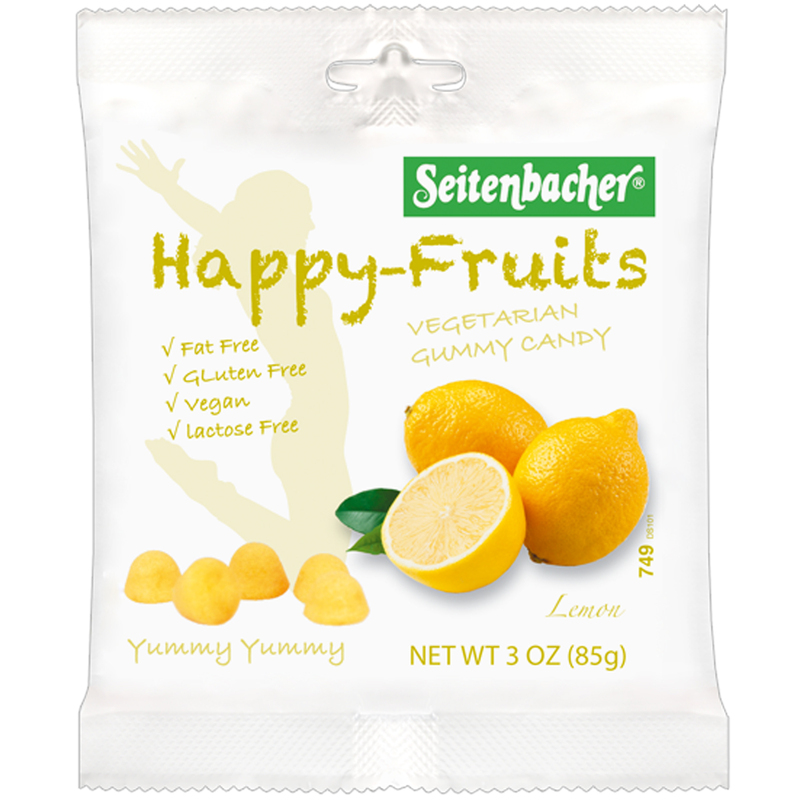 Seitenbacher – a family-owned manufacturer of natural foods including a wide variety of breakfast cereals – recently developed gummy candies without gelatin, starch, artificial flavors, colors, and no added sugar, which is an amazing accomplishment considering how difficult it is to make any type of gummy candy without animal products or sweeteners. 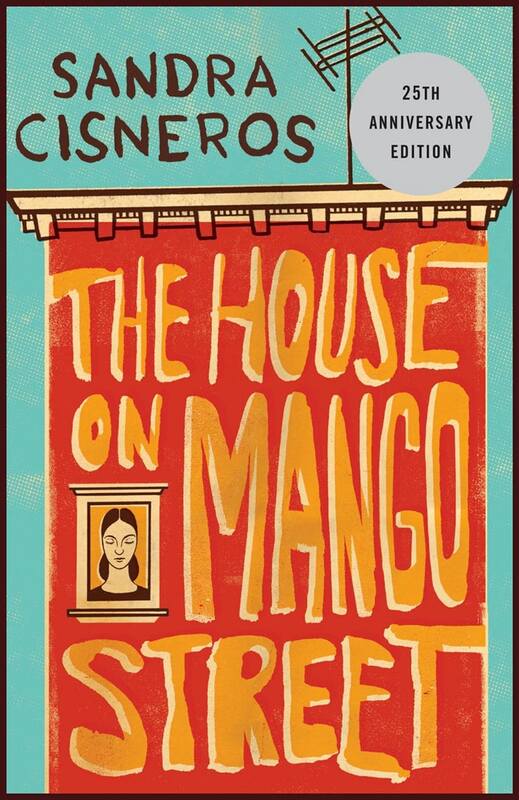 Instead, they relied on the natural sweetness of real fruit. Eight years of research led to the development of gummy candy made primarily from fruit juice that has been thickened by reducing the amount of water and adding apple pectin, natural flavors, and carnauba wax (which comes from the leaves of a native Brazilian palm plant; and is used to provide a natural glossy finish). Fruit Snack: These gummy candies are made in six flavors and shapes: strawberry alligators, cherry dolphins, smooch lions, raspberry turtles, blackberry cats, and peach chicks. 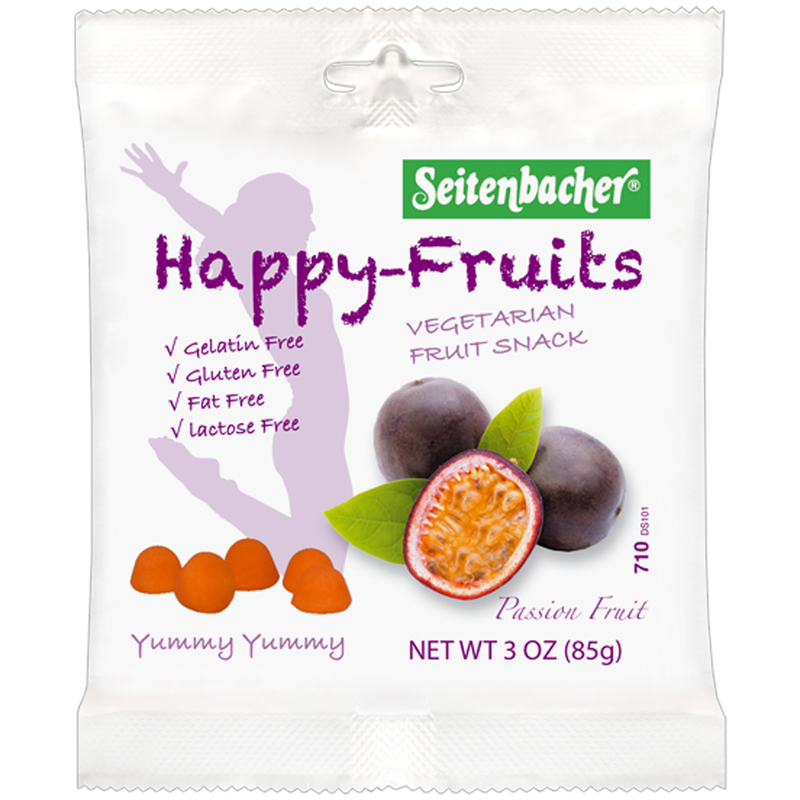 Happy-Fruits: Gummy candies in the shape of small domes, Happy-Fruits come in four natural flavors: lemon, orange, passion fruit, and black currant. 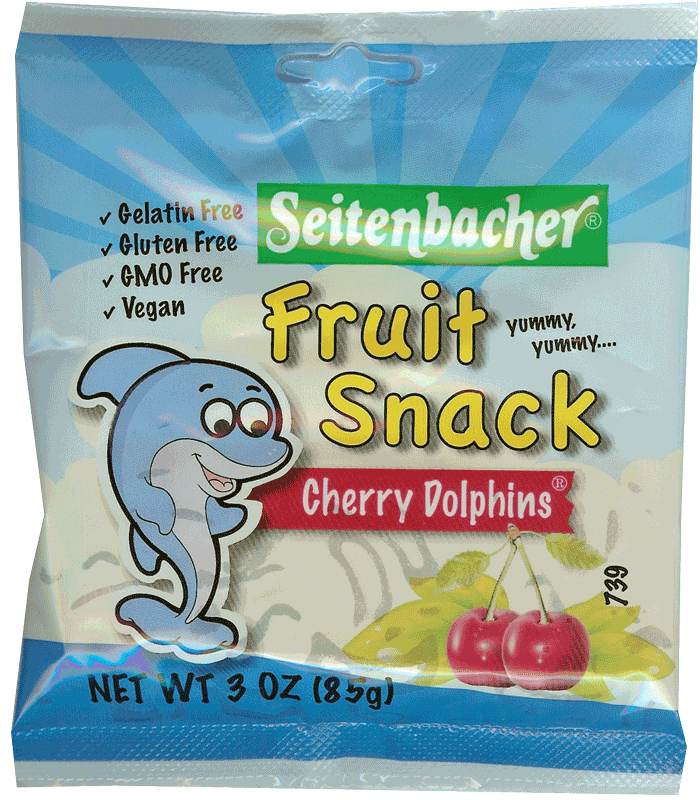 To purchase Seitenbacher Fruit Snack and Happy-Fruits, go to the company website: www.seitenbacher.com where each 3 ounce bag is $1.79 (3 bag minimum purchase) with shipping just $5 for all orders over $25. 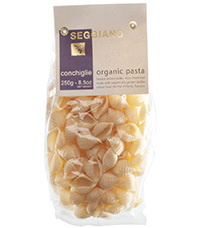 Amazon also sells the bags in bulk (12 bags for $18-$29 with free shipping for Prime members). 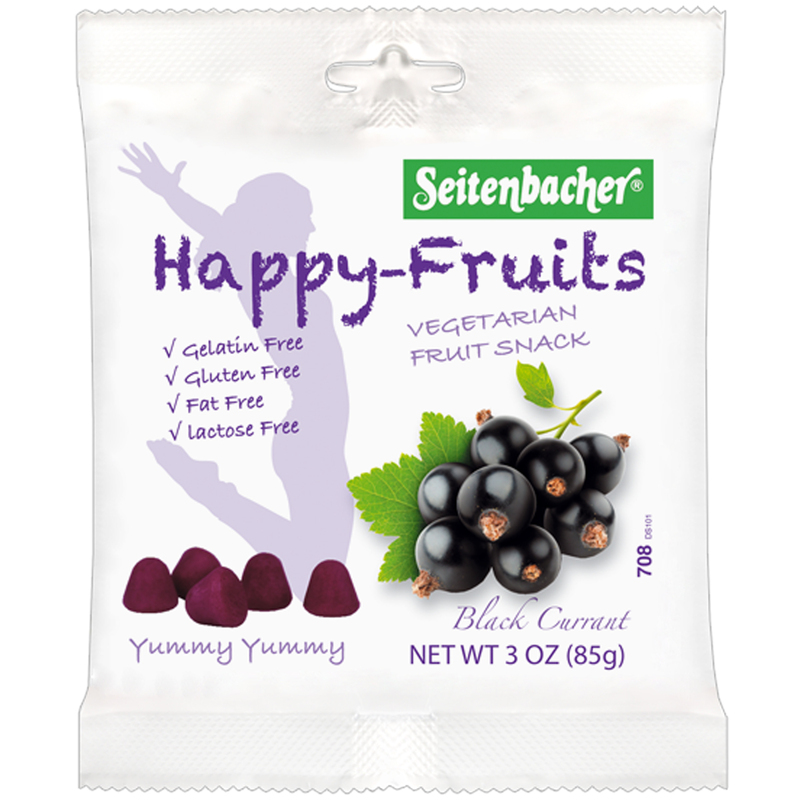 The gummies can also be purchased on-line through www.vitacost.com for $1.59 per bag, with free shipping for all orders over $49. 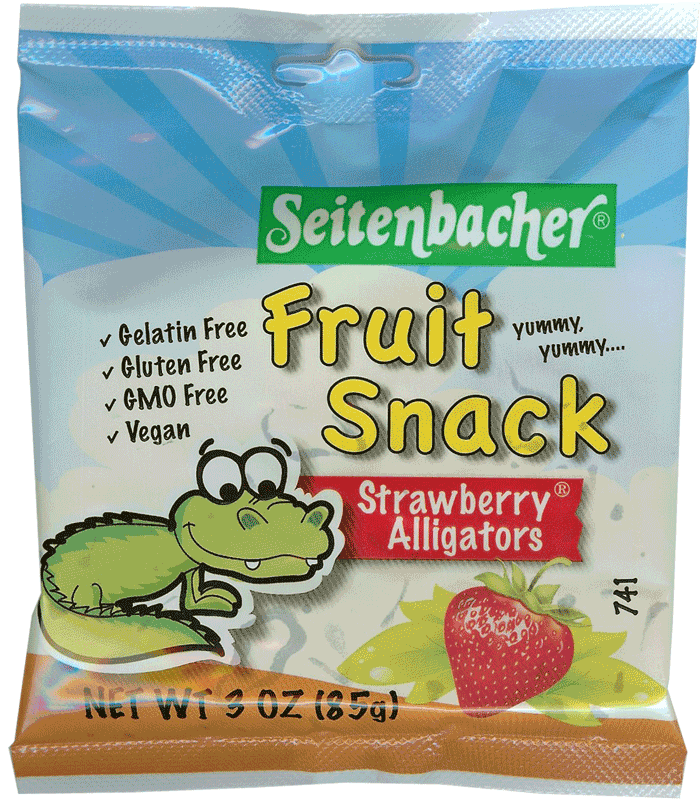 The Seitenbacher website has a locator service which shows availability in retail outlets primarily in the Tampa/Sarasota, Florida area so best to use on-line options for those who live outside the distribution area. I love me some gummies–thank you for all the veg*n recommendations!